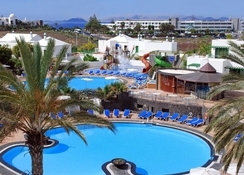 About 600 metres from the sea in Playa Blanca in the south of Lanzarote, is located the wonderful, family-friendly Caybeach Sun Hotel. 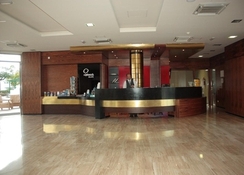 The hotel is popular for its excellent location, top-class services and affordable prices. The complex is surrounded by lush gardens, communal areas, expansive swimming pools and great sport complexes. Take a dip in one of the two open-air swimming pools, rejuvenate yourself at the wellness area that comes with sauna, Turkish bath and Jacuzzi, or simply top up your tan on the sun loungers by the pool – the hotel ensures complete relaxation. The little ones too have a pool of their own, mini club and play park. The surrounding areas of Lanzarote are known for their incredible natural beauty, an incredible variety of flora and fauna and a thriving nightlife, not to mention the Blue Flag beaches and the crystal-clear waters. 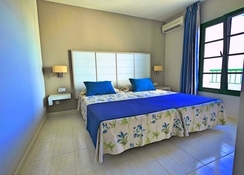 The rooms of Caybeach Sun come with one or two bedrooms and a host of facilities and services. Great for both single travellers and families, this hotel is surely going to make your trip to the Canaries a happy one. The single-most unique feature of Caybeach Sun is its location. 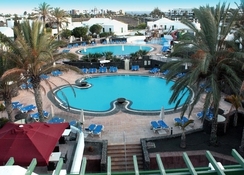 The hotel is situated in the south side of Lanzarote in Playa Blanca. The beach is just a stone’s throw away from the hotel, while the restaurants, shops and nightclubs are only 750 metres away. Papagayo beach is 4km away and makes for a great day trip with family and friends. 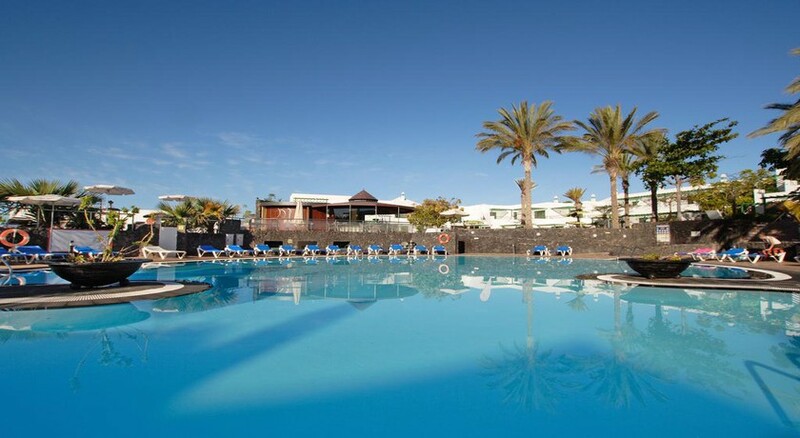 The nearest airport is Lanzarote airport, which is situated at a distance of 27.7km. The rooms of the hotel are well-furnished and come with a host of facilities. While most of the services are free, some however are chargeable. The rooms come in two types: one-bedroom and two-bedroom suites. There is fully equipped kitchen and a separate living area. The en-suite bathrooms come with toiletries and hair dryers. There’s also air conditioning, terrace/balcony, telephone connection and TV sets. Caybeach Sun has both buffet and a-la-carte restaurants, which take care of your gastronomical needs. The surrounding area too has plenty of eating options. Guests can enjoy a drink or two at the pool bar while lounging on sun beds. When it comes to spending quality time during your vacations, you’ll be spoilt for choices. The hotel has a special wellness area, consisting of indoor heated swimming pool, Jacuzzi, water jets, massage rooms and a gymnasium. 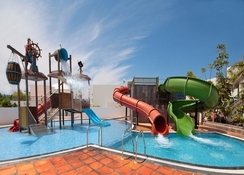 The children have separate pools with slides and aquatic games. There are mini clubs, parks, open-air Jacuzzis and game areas for children. The nearby areas are great for field excursions and day trips. El Golfo, an idyllic sailor’s village and Timanfaya National Park are great for a fun-filled day out. The Papagayo coast is an incredible natural reserve of sparkling sandy beaches and clear waters. It is great for relaxing and water sports. Fitness enthusiasts can sweat it out at the gym while tennis aficionados can enjoy a game of lawn tennis at the hotel’s tennis court. Th hotel was in an ideal location for us,we stayed self catering but also used the restaurant and found the food very good the pool area was very clean with friendly staff to be found .the apartment was a really nice size and also very quiet, will definitely stay here again after already stayed here twice.